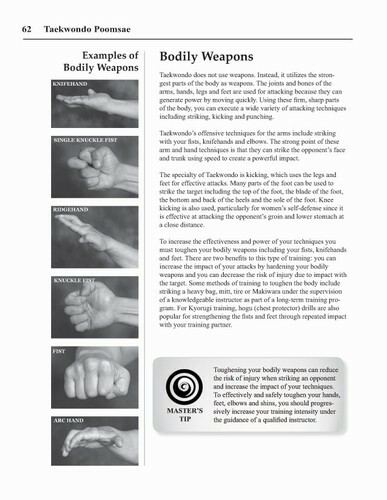 Each Poomsae is thoroughly illustrated with clear and technically precise photos. 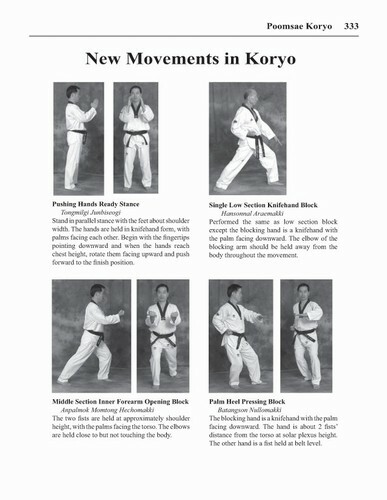 The instructional text is supplemented with information about the meaning, movement line and symbol of each of the taekwondo forms as well as the correct execution of each new movement introduced in the form. In addition to the 25 official Poomsae, the authors explain Poomsae theory and principles to help you understand the underlying concepts of Poomsae practice. Topics covered include: characteristics of poomsae, 13 fundamental taekwondo techniques, stance, vital targets, bodily weapons, structural principles of poomsae, poomsae creating, movement principles, performance tips, mastery, terminology, origin of Taegeuk and Palgwae, meaning of the trigrams, and complete Korean and English poomsae terminology. Much of this information has never before been translated into English. 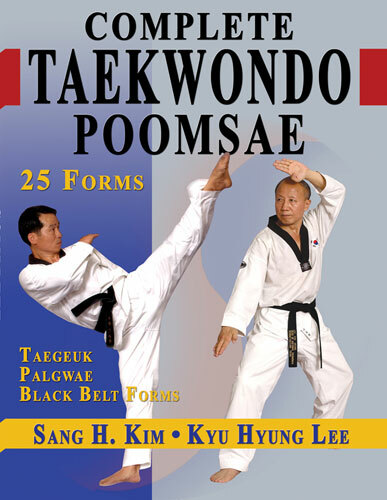 Complete Taekwondo Poomsae is the most complete reference book available on the WTF style Taekwondo forms including the Taegeuk, Palgwae and Black Belt Poomsae. Grandmasters Kyu Hyung Lee and Sang H. Kim have combined their extensive knowledge of traditional taekwondo forms to teach you not only the 25 official taekwondo poomsae, but the meaning of the forms, the principles of Poomsae performance and the philosophy that underlies the techniques. Tae Kwon Do Taegeuk Forms: The Official Forms of Taekwondo is a concise reference for the Taegeuk forms (poomsae) of Taekwondo. Grandmasters Sang H. Kim and Kyu Hyung Lee have combined their extensive knowledge of traditional taekwondo forms to teach you the correct way to perform the 8 official taegeuk poomsae as required for all taekwondo students up to black belt level. Each of the 8 Taegeuk forms is thoroughly illustrated with clear and technically precise photos. The instructional text is supplemented with information about the meaning, movement line and symbol of each of the forms as well as the correct execution of each new movement introduced in the form. 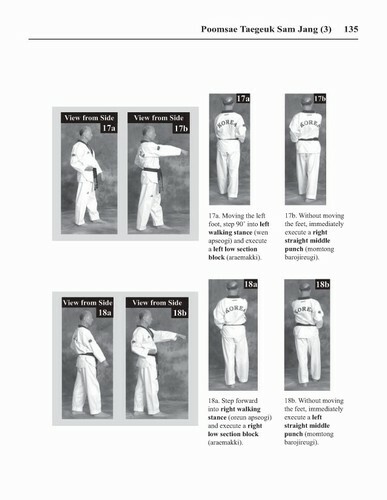 Tae Kwon Do Palgwe Poomsae is a complete guide to the Palgwe Poomsae (forms) of Taekwondo. Grandmasters Kyu Hyung Lee and Sang H. Kim have combined their extensive knowledge of traditional taekwondo forms to teach you not only the 8 official Palgwe poomsae, but the meaning of the forms, the principles of Poomsae performance and the philosophy that underlies the techniques.